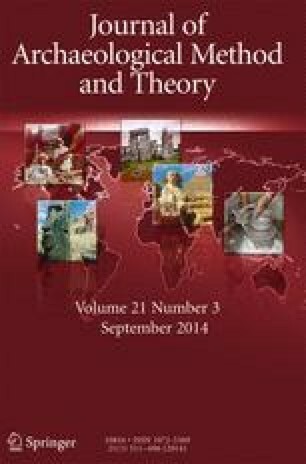 This paper explores the integration of chemical data with metric studies and spatial analyses of archaeological artifacts to investigate questions of specialization, standardization, and production organization behind large-scale technological enterprises. The main analytical focus is placed on the 40,000 bronze arrowheads recovered with the Terracotta Army in the First Emperor’s Mausoleum, Xi’an, China. Based on the identification by portable X-ray fluorescence spectrometry of chemical clusters that correspond to individual metal batches, and combined with a study of their context in the tomb complex, we argue that the manufacture of arrows was organized via a cellular production model with various multi-skilled units rather than as a single production line. This system favored more adaptable and efficient logistical organization that facilitated dynamic cross-craft interaction while maintaining remarkable degrees of standardization. We discuss the use of “the batch” as an analytical category and how our method might be applied to other studies of craft organization in complex societies and imperial systems.